About us – Pets On Wheels of Scottsdale, Inc. Comfort cancer patients during their outpatient treatments. Enhance the lives of the elderly and/or infirm, now relegated to routine and often uncomfortable lives in special care centers, such as nursing homes and hospitals. Expand the understanding of the human-animal bond among up to 2,000 second-grade children each year in Scottsdale’s elementary schools as well as spread the word about the human-animal bond around the world. Conduct regular (and meaningful) weekly visits with pets, to as many residents, patients, or students as may benefit from such visits. Such contacts with animals provide both physiological and sychological benefits - conjuring up memories and creating a relaxing and therapeutic effect on the people we visit. Pets on Wheels is currently active with over 100 volunteer-pet teams and is carried out with the cooperation of 14 veterinary clinics and the City of Scottsdale. The City of Scottsdale provides office space at the Granite Reef Senior Center. 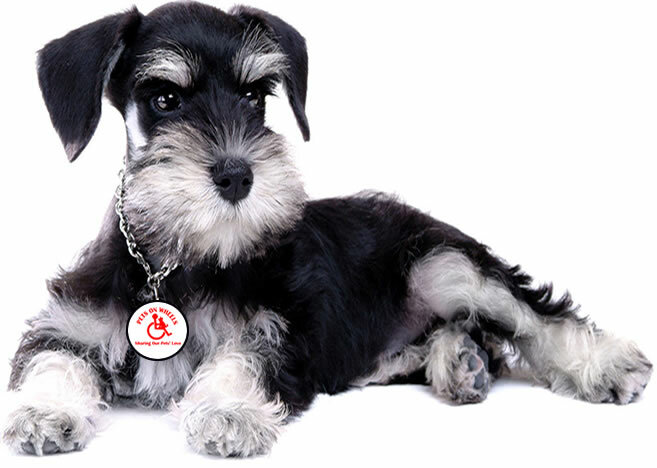 All visitation-therapy pets (mostly dogs) are certified healthy by a veterinarian annually. Dogs and cats must be one year of age and spayed or neutered. Prospective volunteers undergo an initial interview. The volunteer-pet teams are then briefed and evaluated at our monthly orientation meetings. When application papers are submitted, a background check is ordered for each applicant. Upon clearance,a trained evaluator is assigned to the volunteer for orientation and final testing at the assigned Care Center. Follow-up training is done through quarterly newsletters and meetings with speakers or films geared to dealing with the elderly, hospice, pet training, pet health and grooming. The Children’s Pet Safety program, begun in 1997, is resulting in several hundred additional contacts each month. During each school year, volunteer-pet teams present pet safety talks to second-grade students. 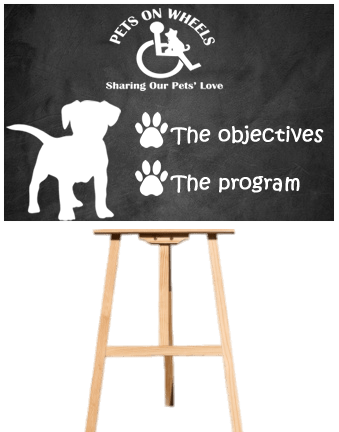 The purpose is to teach respect for animals and ways to avoid bites and scratches from dogs and cats. The Life Skills programs were started in 2004 with visits to the developmentally challenged youth classes at Chaparral High School. With the success of that ongoing program, in 2008 we began visits at four other schools offering this program. And in 2009, visits began at Cortney’s Place; a special school is for Life Skills students over the age of 21.